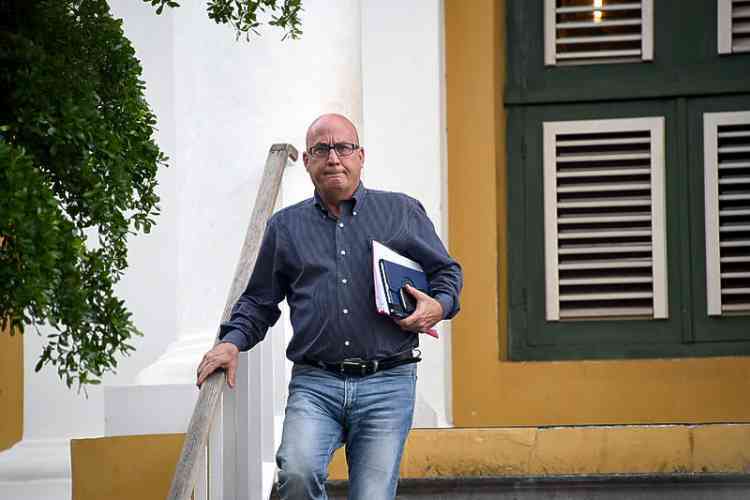 WILLEMSTAD–Norman Serphos must appear before the criminal court in Curaçao on April 1. The former spokesperson for the Prosecutor’s Office is accused of having made a false complaint. According to him, some unknown person hacked his Facebook account and commented on the page of a fatal motorcycle accident victim who had earlier criticised and apparently insulted him on social media. However, a preliminary investigation based on a complaint by the deceased biker’s family indicated the spokesman had posted the statement himself, after which he was relieved of his duties. Serphos later admitted to his superiors that it had been him. Nevertheless, he has meanwhile objected to the formal proposal for his dismissal from Attorney General Roger Bos to Justice Minister Quincy Girigorie and Governor Lucille George-Wout. This is now being processed.